Today’s Top Ten is all about books that I struggled to get into. Now, beginnings are something I usually struggle with. As much as I love reading a new story and getting to know new characters, the beginning is almost always a struggle. I start reading and find I have to force myself to continue reading. But usually when I’m reading and get a few chapters in (this can be from the 2nd or third chapter, but it can also be about halfway the book), I start getting invested in the story and attached to the characters. And THAT’s when I switch from forcing myself to read to really enjoying a book. And this struggle with beginnings is something that’s a ME-thing, not a BOOK-thing. Because some books or series that have become my all-time favorites started as a book I was really struggling to get into. Though these characters have become one of my all-time favorite group of friends and I ADORE this series to pieces, it honestly took me like half the first book in this series to get used to them. Also, the gorgeous lyrical writing that I’m raving about now, took me quite a while to adjust to. I know I’ve been describing this series as pretty much the PERFECT trilogy (and I still stand by this point), but to be fair I only REALLY got invested in the storyline and the characters near the end of the first book. My most recent read of this list is one of my favorite reads of the year, but I struggled with the beginning. 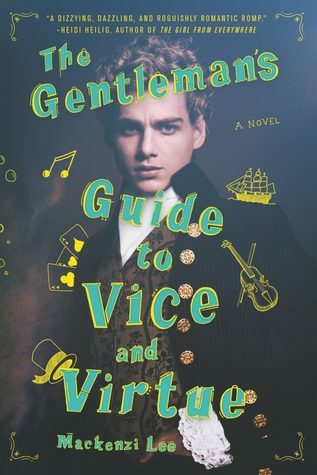 It took me about two weeks to read the first few chapters, but somewhere near the point where Monty was running around naked I naturally got invested and finished the rest of the book in a day or two. I adore this series to bits, but it took me quite a long time to fall in love with these characters, none of whom really stood out to me at first. Now on the other hand, I can’t get enough Magnus, Cleo, Felix and the gang. This series is such an underrated gem of a fantasy, but the beginning was tough to get into! The world, the characters, they only really took a hold of my heart near the end of the first book. Adam Silvera owns my heart (and my tear ducts). 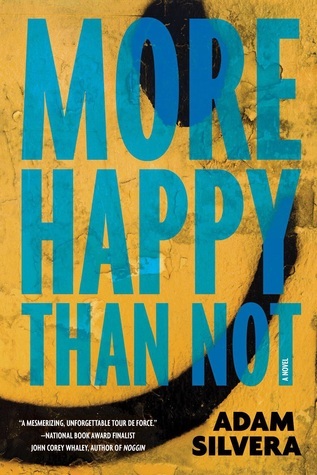 But as much as I loved More Happy Than Not, the beginning really frustrated me (especially the slang and just the awfulness of some of the characters) and I almost stopped reading. Thankfully, I didn’t or I would have missed the unique feeling of having Adam Silvera tear my heart out. Another favorite read of mine this year. But yes, it took me a bit to get into. Now I’m just eagerly waiting for book two! Lindsey, WHAT? I know, I know! I LOVE this duology. I ADORE these characters so, so much. But it took me about a third of the book to get there. Once I was there, however, there was no going back. I am officially a huge Six of Crows fangirl. Even though I love this series now, I kind of struggled with Cinder. Though this maybe had something to do with the fact that I was really skeptical of this book before I started it (a cyborg Cinderella? Eh…) I shouldn’t have been, because I soon fell in love with Cinder and the rest of these characters though! This book was my favorite even before reading it, because I already was in love with Simon and Baz by reading about them in Fangirl. So I should have gotten invested in their story easily, right? Wrong. I think it was the fact that there was a lot of recapping previous events in the beginning, not to mention the absence of a certain character for too long. Still a favorite nonetheless! Do you also have this problem with book beginnings? any all-time favorites that you at first struggled to get into? I totally understand what you mean about ‘The Demon King’. It starts out as as your average Fantasy with stereotypical characters but the more you read, the better you realize that it’s actually has a gripping storyline and some of the characters are not clichees and might surprise you. I totally understand you about The Raven Boys! I love the writing style so much, but it does kind of need some more time I think 🙂 And so happy you felt the same way about Cinder! Glad to hear I’m not the only one who had this issue with Six of Crows! It did end up an all-time favorite for me, so I’d definitely suggest to keep reading a bit more… Hope you’ll get more into it soon! I haven’t read any of these, and it is generally because I’ve tried and failed to get into a book. Often, for me, that is because, I think, I’ve read so many books that new books feel too much like other books I’ve read. 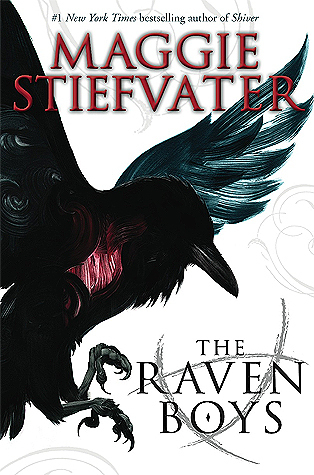 I really struggled with The Raven Boys, More Happy Than Not, and ADSOM. I ended up putting those first two down. Sorry to hear you couldn’t get into The Raven Boys or More Happy Than Not, though I definitely understand as I struggled with them at first as well! 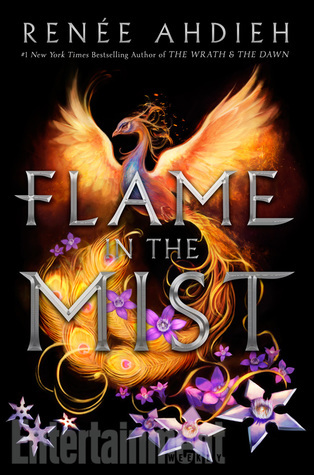 Flame int he Mist is one of my favorites this year too. 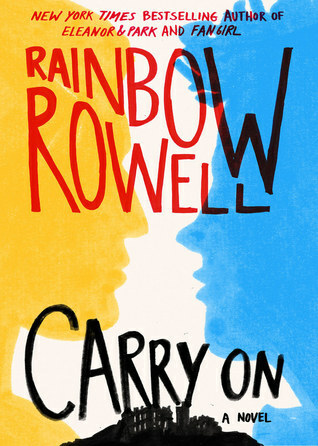 I LOVE Carry On!! I’ve been wanting to find time to reread it soon. I do agree that it took way too long for a certain someone to show up tho! That was frustrating. 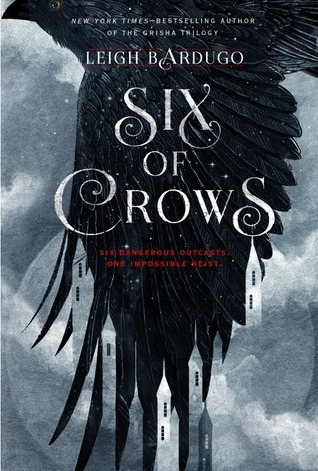 I plan on reading Six of Crows later this month. I’ve heard great things about the duology, but it’s funny that I’ve seen this one on a couple lists today too. lol! I’m going to be trying to squeeze in Gentlemen’s Guide this month too. I’m hoping I can make it happen. 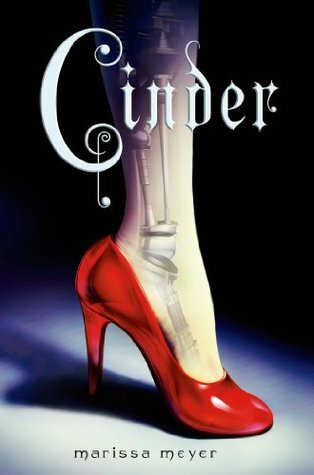 I really liked Cinder but I went into it very skeptical for the same reason as you (cyborg Cinderella? meh) but I liked it a lot. I haven’t read any of the others, but I have a couple on my list. Great list! I can totally sympathize with Falling Kingdoms. When I first tried to read it, I think I made it about halfway then gave up because … well, honestly, I cannot remember. I just wasn’t enjoying it. Then, about a month later, I picked it back up and really enjoyed it. *shrug* Now I like the series and, to think, I almost didn’t even finish the first book. I’m actually struggling a bit with my current read. It has tough subject and the beginning was kinda tough for me to read. Haven’t picked it up in a few days now but I do wanna get back to it. I haven’t read any of these, but most are either on my wish list or TBR pile. I glad to hear you ended up loving them despite the rough starts. I sometimes will stick with a book I am struggling hoping it will get better because it’s happened often enough. I hope you have a great rest of the week! We must have very similar reading taste, because I also found so many of these slow to get into! 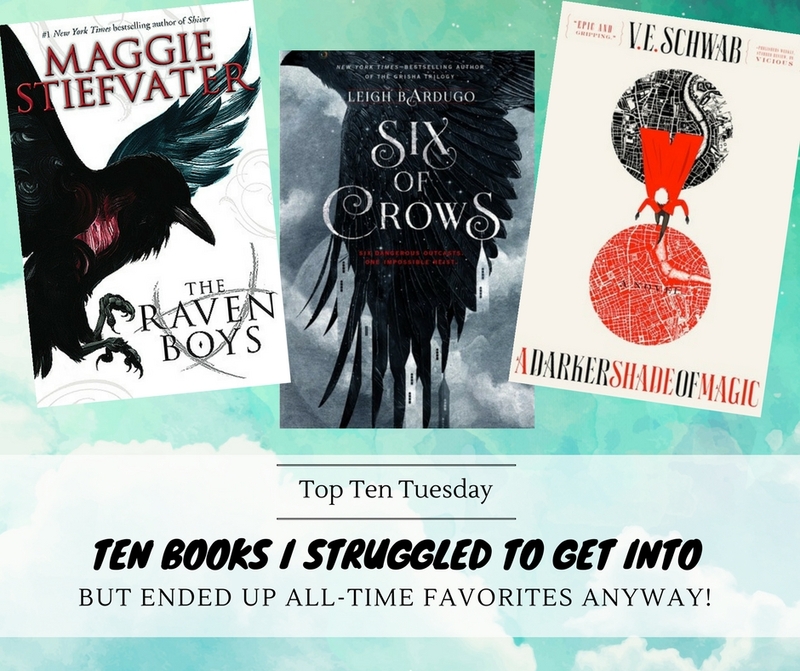 Like you, Six of Crows and ADSOM are two of my all-time favorite series, but I wasn’t fully invested in the world or characters until well into the respective first books. I also struggled a bit with Cinder, More Happy, Carry On, and Gentleman’s Guide, too. Great list this week! Ah yay, glad to hear I’m not the only one 🙂 Sounds like we definitely have similar reading tastes! Yes, Six of Crows took me a while to get into as well. I haven’t read the sequel yet in part due to that. Glad to hear I’m not the only one 🙂 I absolutely adored Crooked Kingdom though so I hope you’ll enjoy it as well! I have a few of these on my TBR, so I’ll keep in mind that they may start a bit slow before they get really good! I’m bad, though, with DNFing – if a book doesn’t grab me within the first few pages, I have a tendency to DNF, so who knows how many books I’ve DNFed but would have liked had I given it more time! 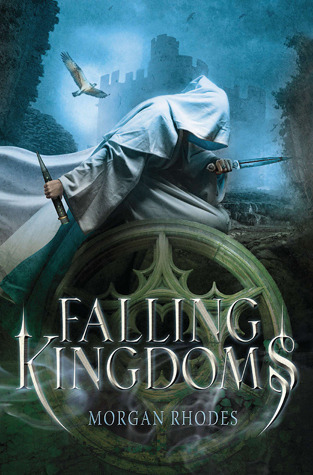 I actually dnf’d Falling Kingdom’s after about a track on the audiobook – I plan on retrying it eventually in print. Eventually. I struggled with Cinder too, so I’m glad to hear it got better for you. 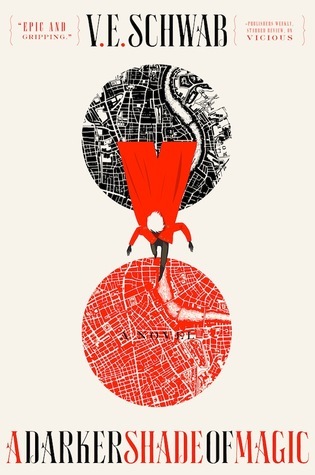 I love ADSOM, I remember it taking me a while to get used to the structure of the book (with the different parts) but I was addicted to the world and characters pretty much from the start. The Raven Boys, it definitely took me a while to get into, I almost DNF’ed it, the horror! I have ‘Crow’ on my shelf (which I bought after seeing all the “Crooked Kingdom” pictures on IG after its release), so I’m REALLY hoping I’ll enjoy it. It sounds like a cool/fun read, but that doesn’t mean it’ll suit my reading tastes. Time will tell. Glad you ended up enjoying these, Lindsey! Oh great post, Lindsey, we quite have a lot in common here 🙂 It took me a little while to get to The Raven Boys series just as well, the writing took me a bit to adjust to but once I did, I fell in love with it! Marie @ Drizzle & Hurricane Books recently posted…Books, writing and a little bit of myself: some questions answered! Hmmm. STARTING is also the hardest thing for me on a new book – it’s difficult to bring yourself to learn an entirely new world, a new set of characters to love and care about! I need to read Raven Boys. Gosh. And Gentleman’s Guide. 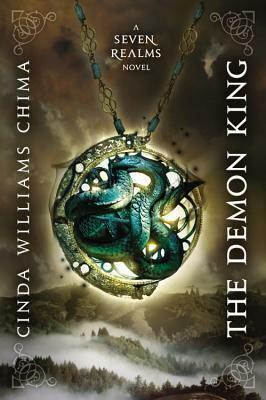 And Falling Kingdoms… Yikes. I’m just going to go hide somewhere before my TBR pile crushes me! I loved the Shades of Magic series and 6oC! It was difficult for me to get into 6oC too! But I think because it was all so confusing at first. I also struggled with Cinder! But I’m loving Cress so far. Well, I guess I’d better go get reading… Great list! Definitely! So glad to see I’m not the only one having trouble starting series!